Age Wave’s unique suite of innovative, results-driven marketing tools and seminar systems are custom-designed specifically for sponsoring organizations to meet their unique goals and objectives and help financial professionals connect and build business with today’s middlescent and maturing consumers. 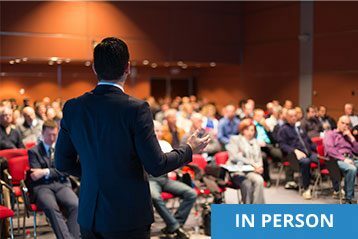 Built upon Age Wave’s 20 years of landmark research on aging-related issues, as well as our compelling presentations, best-selling books, and highly successful marketing and communications initiatives; all our public client/prospect seminar systems deliver both deep learning and bottom-line results. Age Wave can customize a learning solution for your organization to meet your unique goals and objectives to connect with and build business with today’s middlescent and maturing consumers. Age Wave will develop large or small group training workshops for both internal (employee) and external (customer) facing interactions that present cutting edge research on longevity and retirement.